With all the buzz around the Keto diet (especially within our circle), we decided we’d give it a try ourselves. 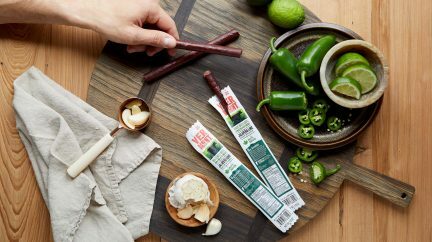 The launch of our new Keto-friendly 100% Grass-Fed Beef Sticks was the perfect opportunity to tackle one of the biggest Keto challenges: quick meals. For dieters with limited time, adhering to a diet that restricts entire food groups can be very difficult. 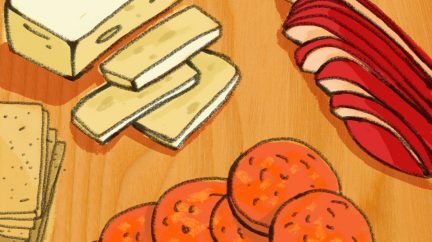 We threw together this 10 minute, Keto-friendly “snack-dinner” for two, to challenge the convention that properly dieting on the Keto diet requires intensive prep. Not only is this a super quick snack plate to pull together, it’s another example of a Keto meal making dieting look easy. The macros for this snack plate are: 53 grams of fat, 24 grams of protein, and 13 grams of carbs. While this snack plate is “Keto-friendly,” to truly make this a Keto meal, we recommend reducing the avocado and tomato servings to bring the carbs down a bit. This is a big portion (1217 calories!) so it’s best as a meal for you and your Keto bestie to share! Or you can split it into two portions and save the other half for lunch or dinner. 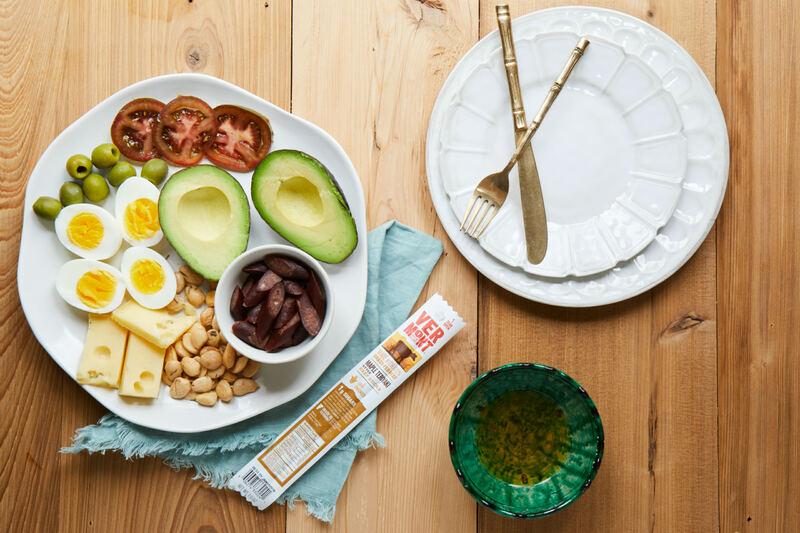 We hope you enjoy this filling, quick Keto snack plate. Snap a shot if you try this out or it inspires your own Keto snack plate. 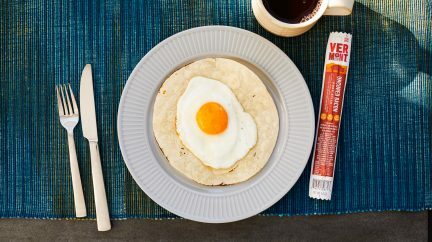 Don’t forget to tag @VTSmoke, we’re always looking for more inspiration for delicious Keto meals! Great Tasting Grass-Fed is FINALLY here!